Is an Aged Care Community Right for You? As we get older and into our golden years, the topic of community living and assisted living becomes more and more a part of our lives. This is because as we age, whether we like it or not, some things and day to day tasks that used to be easy for us, become a bit more of a challenge. We also find that sometimes some of us start to need a bit more care, such as the kind provided by a nurse or therapist. Luckily, there are several aged care communities available that the elderly can become a part of. But what is an aged care community, really? Also, is one right for you? Let’s take a look at these two questions below while we try to find the best answers. What is an aged care community? 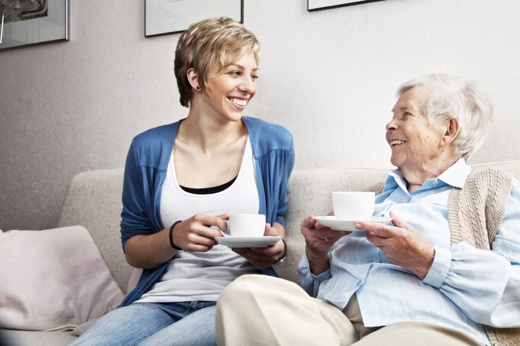 Also often referred to as an aged care residential community, an aged care community is one that allows the elderly to live in a community like state while receiving nursing care and support 24 hours a day. When living in an aged care community, you’ll find that all, or at least most, of your needs are met right on site, making the needed to venture out of the community more limited than if you were to live on your own in your own household. When choosing an aged care community, you will find that there are various fees involved, so you’ll want to keep that in mind in regards to your current finances. How is an aged care community right for you? This can be a tricky question as it might not be the best fit for everyone, but generally speaking, it’s a great fit for most. This is because when living in an aged care residential community, you will find yourself residing in a community that caters to you in such a way that a normal, regular run of the mill neighborhood wouldn’t be able to. Generally speaking, in most aged care communities you’ll find a registered nurse that’s on-site 24 hours a day, seven days a week. You’ll also find other great services like a chef on site as well as various wellness and health professionals that are available to help you if you are in need of it. When it comes to dining options, you’ll find that meals are catered to your needs, as well as your wants, with healthy dishes served on a regular basis, along with some of your favorites. Though you may not want to admit it, getting older does sometimes mean that it’s time to look into other housing and living situations. This can be a scary thought and that’s okay. Trust us; you’re not alone in that feeling. But, you’ll find that there are great options to choose from, including that of an aged care residential community. These communities are meant to be a fun place to socialize while attaining any care that you could need outside of a hospital or specialized medical office. Posted in: Health. Tags: health, medical, nursing.